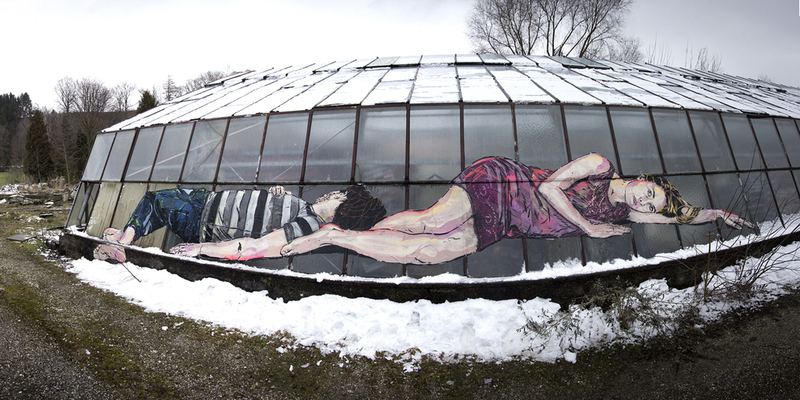 Jana & Js are artists who work in urban spaces inspired by the city and its constantly changing architecture. They are inspired by observing those who live in the city and paint urban landscapes, architectural details and simple portraits. 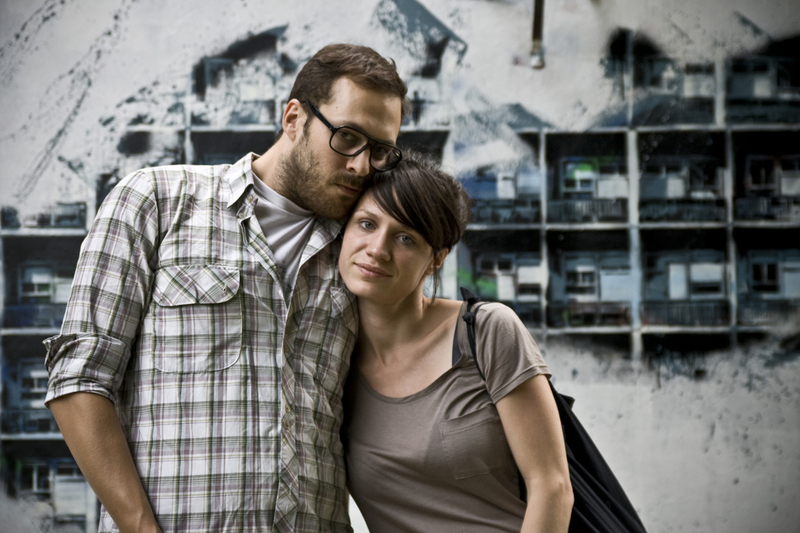 Their art is created by using a stencil technique based solely on their photographic work as part of the WCA collective. It is this simplicity of design which results in such striking large-scale urban street art which can be seen across Europe. So, what does eco mean for you right now? When we first started to work with stencils we realised that this kind of technique doesn’t require lots of resources. You can use found cardboard, cut your stencil out and spray it outside on the walls. You can re-paint it lots of times and you don’t need a canvas. It is a great way of creating and expressing things by spending very little money. In the last couple of years some of these things have changed for us, as we’re searching for better and better quality in our work. But we still like the idea of spending little and getting the most our of it; we would rather spend energy than money to achieve our goal. We are trying to recycle materials (wood, metal, windows, doors…) that we come across and items we find in flea markets to create our work. And modern? what does that mean for you in the present day? Our work is based on the photography we take in our every day life, so we’re building our work out of the modern elements we see and experience around us in the present day. We work on buildings of different ages and working on such a large scale can be challenging (because we do everything ourselves) but we take challenges as a positive thing. What do you think the relationship between buildings as an urban landscape is with graffiti and where do you think it might go? Graffiti and urban art are definitely nourishing themselves by the city, the architecture and urban landscapes. The city itself is a great inspiration. 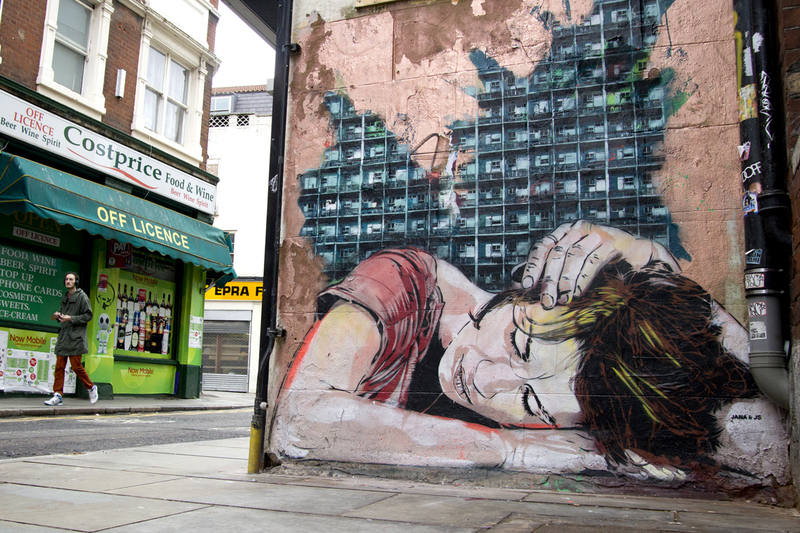 Urban art is creating links between the artistic expressions and the city. Today we can see more and more big scale projects where artists get the possibility to paint walls, sometimes very big walls, and we believe that this might change the way people are considering street art and art in general.